Last year it was black and white, this year it was allllll about the matte pictures. I've blogged some updates throughout the year but now, here we sit on December 31st of 2017 and my 365 project is COMPLETE. WOOT! My second year of doing this and I am so happy with how it turned out again this year!! So much amazingness and wonderfulness from this year, and also some tears and sadness in looking back at these snaps about some very sweet and bittersweet memories. #MooneyMatte365, as I have documented these past 365 days on Instagram, is now complete. Another year in the books documenting every.single.day. and golly it feels so awesome to have done! I'm definitely getting these snaps printed into an album like I did for 2016's...and cannot wait to look back through them when the book comes to see what an awesome year 2017 was! 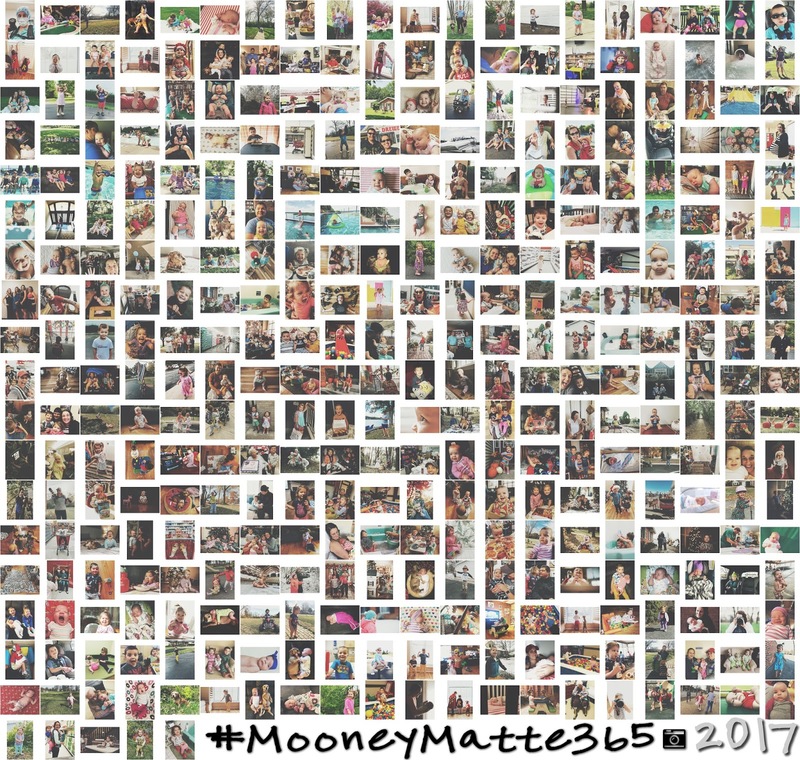 Using my handy dandy tutorial again, I collaged all 365 pics from this year. I know they're super tiny but still a cool thing to see them altogether! I'm half-tempted do 2018s with all square photos to go along with my candid/no-posed theme...I have less than a day to figure that out! HAHA! You can click here and view all 365 matte images from this year too if you'd like to see them all in one album. And here's a couple videos of all 365 snaps from this year...golly what a great year it was! I cannot wait to see what 2018's looks like! Okay friends! That's it for this 2017's matte series! Feel free to follow along on Instagram with #MooneyCandid365 for 2018's journey...it's gonna be a good one, I just know it! Here's to a wonderful 2017 and an even better 2018! Happy New Year friends! !